Wife of Late Rameshbhai Punamchand Kothari. Daughter in law of Late Champaben - Poonamchand Amrutbhai Kothari. Daughter of Late Motiben - Jesanglal Amulukhbhai Parikh. Mother of Beenaben, Milanbhai & Aashishbhai, Mother in law of Rajeshbhai Modi, Darshanaben & Twinkleben. Sister in law of Late Navinbhai, Sudhashbhai, Bipinbhai, Prabhaben, Guniben, Kanchanben and Kalaben. 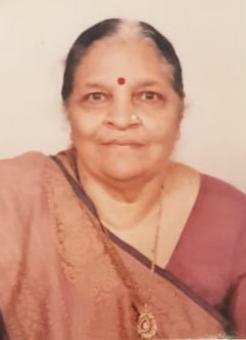 Sister of Chandrakantbhai, Shirishbhai, Piyushbhai, Snehlataben, Sudhaben, Maltiben, Shobhnaben, Grandmother of Vishal, Rishi, Aashni, Samyak, Krupa, Yashvi & Vihaana.